You know Ainsley Earhardt as co-host of the hit morning show Fox & Friends, but in recent years she has become much more. She released bestselling books in both 2016 and 2017, first the lauded children’s book “Take Heart My Child” and followed it up with “Through Your Eyes: My Child’s Gift to Me” a year later. 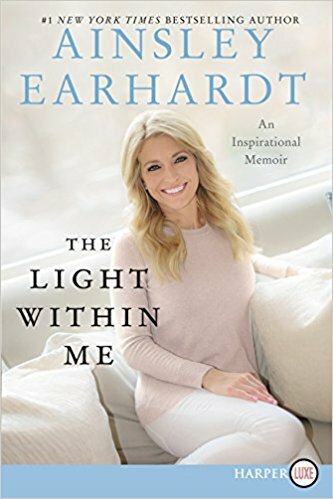 Now the talented Earhardt is back at it, with the her new book “The Light Within Me: An Inspirational Memoir.” The New York Times #1 bestselling author’s latest work was released on Tuesday, April 24.